Do metal detectors work to prevent violence in schools? Will technology make my school safer? 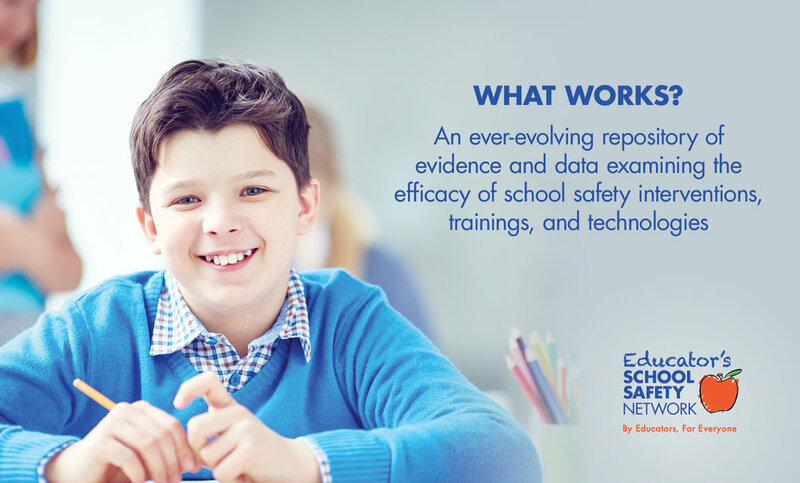 What is the impact of Threat Assessment and Management on School Climate and Culture? What is the impact of Threat Assessment and Management on student discipline? Can we work to prevent violence in Schools? "There is insufficient data in the literature to determine whether the presence of metal detectors in schools reduces the risk of violent behavior among students, and some research suggests that the presence of metal detectors may detrimentally impact student perceptions of safety"
- Hankin A, Hertz M, Simon T. Impacts of metal detector use in schools: insights from 15 years of research. J Sch Health. 2011; 81: 100-106. "There is no quick fix for school violence... Instead, a holistic approach to developing a school safety plan seeks to understand and address to the degree possible what leads to school violence to promote 'situational awareness' among students, staff and community members. The selection of a technology should be in service of a larger school safety approach as outlined in the plan." "Students in schools using the Virginia threat assessment guidelines reported less bullying, greater willingness to seek help, and more positive perceptions of the school climate than students in either of the other 2 groups of schools." "...schools using the Virginia guidelines had fewer long-term suspensions than schools using other threat assessment approaches." How does a school's climate and culture impact academic achievement? Click here to download "The Effects of School Climate and Culture on K-12 Academic Achievement"
What's the difference between school culture and school climate? Click here to download "School Culture, School Climate: They are Not the Same Thing"
Authors contend that kids who feel valued don’t attack schools. Robert Brooks is a clinical psychologist at Harvard Medical School; Dr. Duke Samson is former chief of staff, Department of Neurosurgery, UT Southwestern Medical School; and B. Glenn Wilkerson is president of ARKGroup and author of the ARK (Adults Relating to Kids) Program.